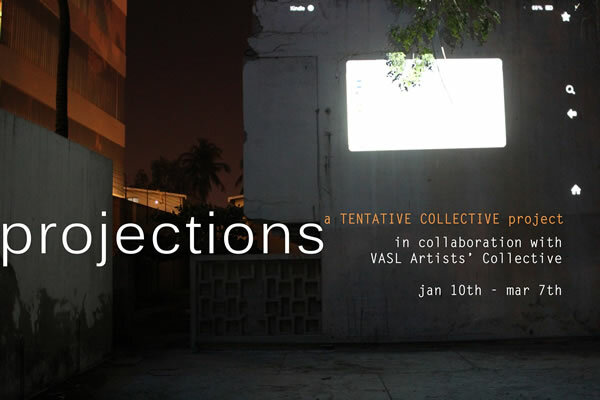 The Projections series was a Tentative Collective project, which was supported by Vasl, with funding, logistical support and management. 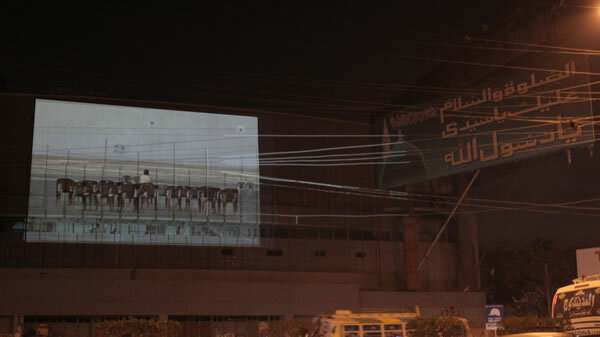 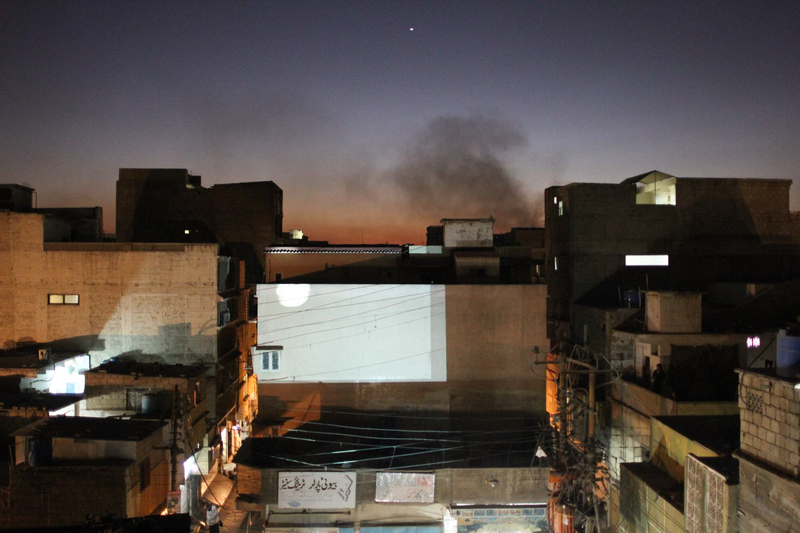 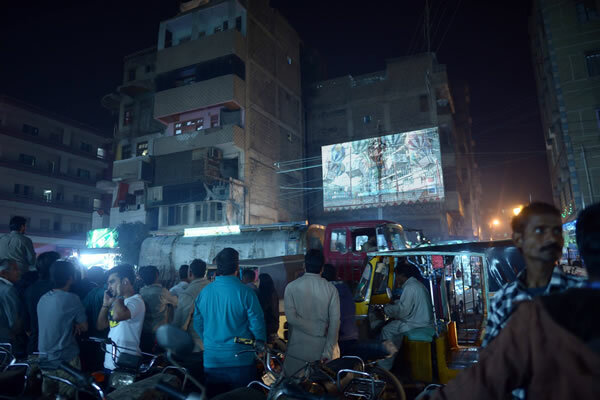 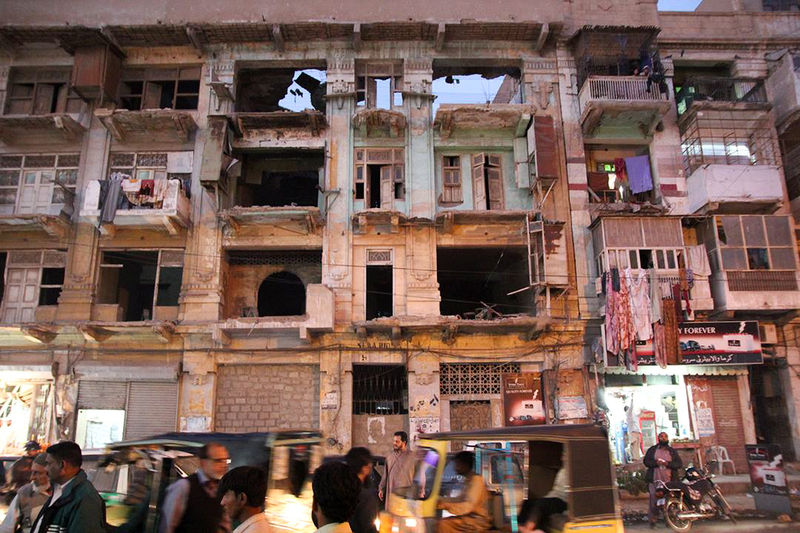 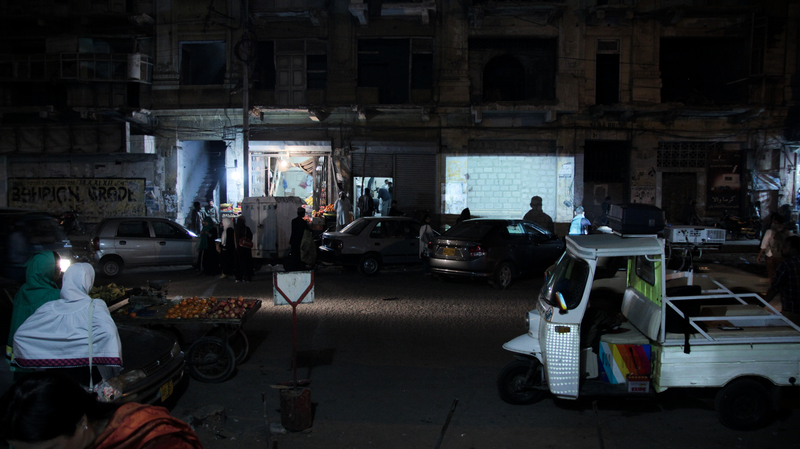 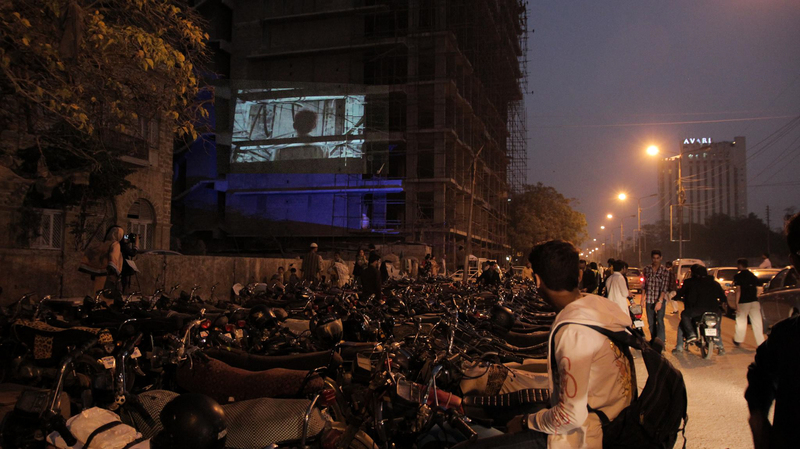 The project experimented with the physical limitations of public spaces in central Karachi. 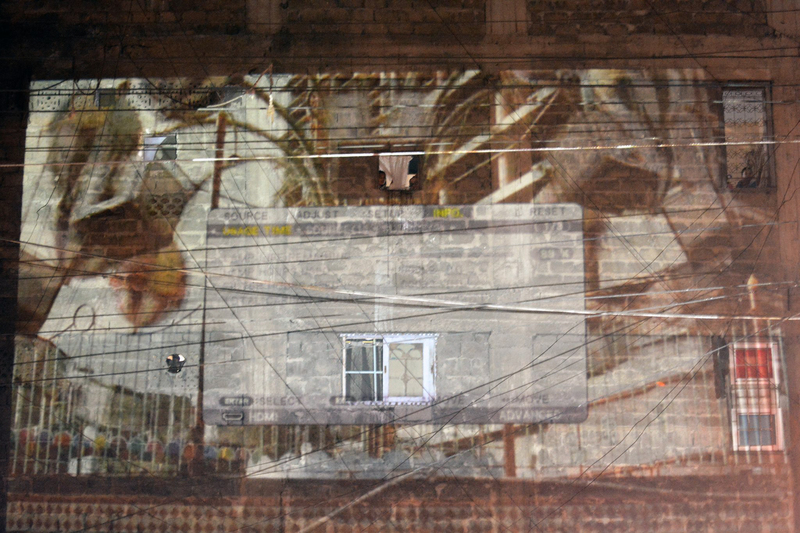 As part of the project, six artists designed site-specific video clips, each of which were projected on city walls for a single night. 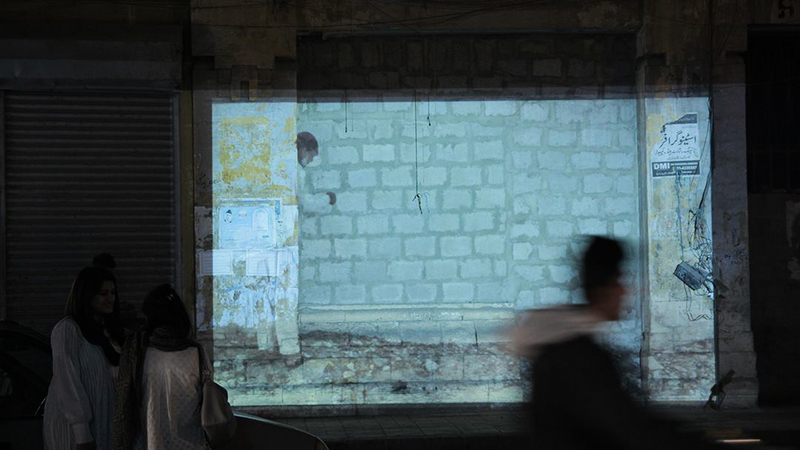 The videos were reflected onto the city walls, blurring the lines between concrete reality and transient imagery. 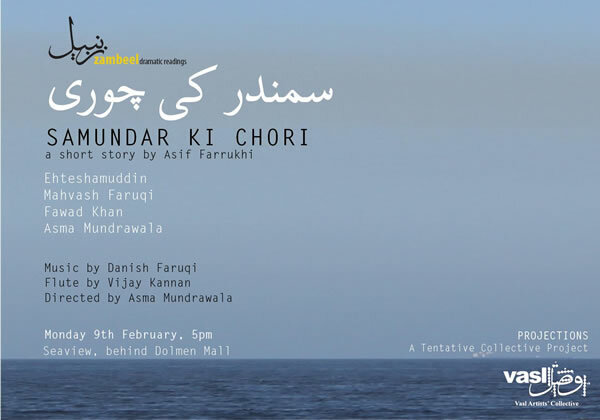 Tentative Collective aimed at creating a theatre in some streets of Karachi. 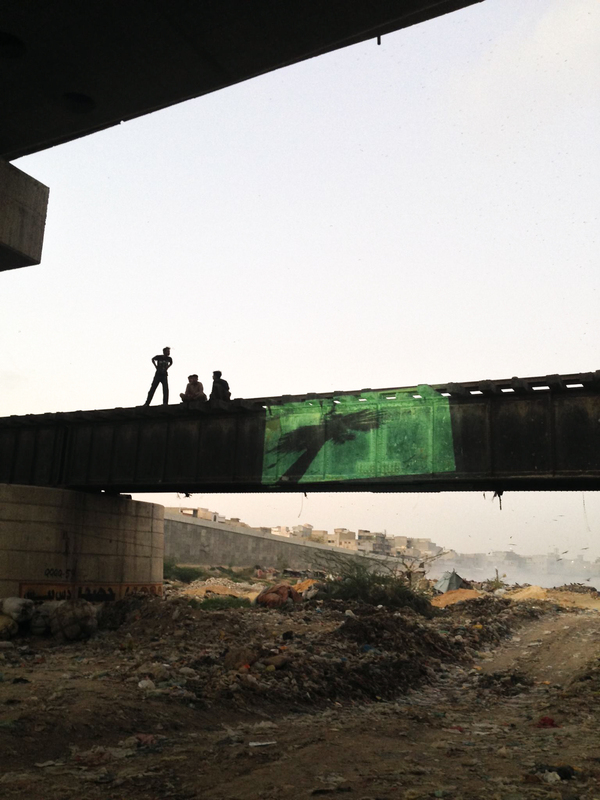 The artists’ videos delved into issues of urban conflicts. 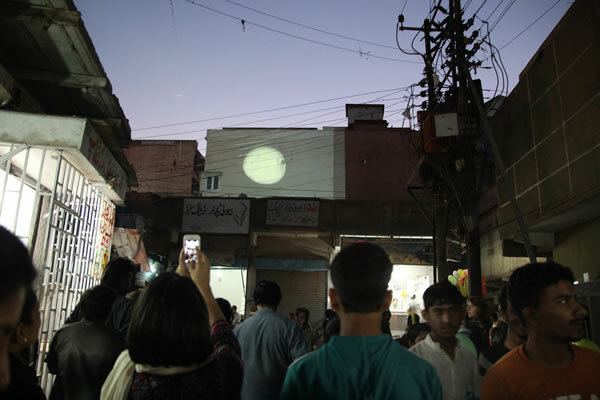 The artists’ for Tentative Collection described their initiative for the Projections series to be derived from how “artists, curators and creative practitioners enact on their own ephemeral projections in the city.” Being one of the few artistic interventions with the public, each projection purposefully looked at the city’s surfaces, buried history and unnoticed visuals. 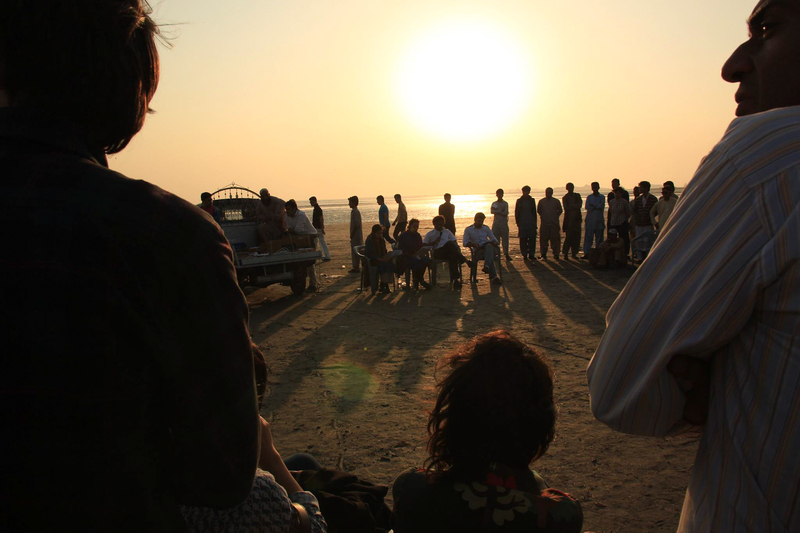 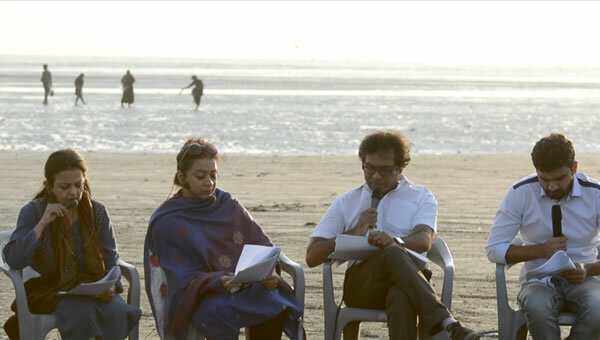 Another trajectory of the project was the reading of Asif Aslam’s story, Samundar Ki Chori, by Zambeel Dramatic Readings at the Sea View Beach. 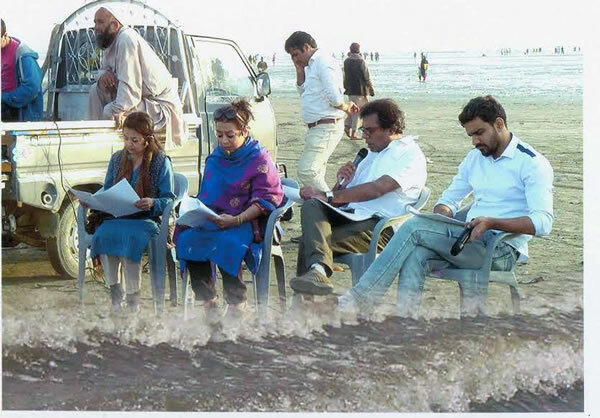 While the waves of the sea crashed onto the beach, the Zambeel team read the story which was about a city next to the sea that awakens to a strange phenomenon. 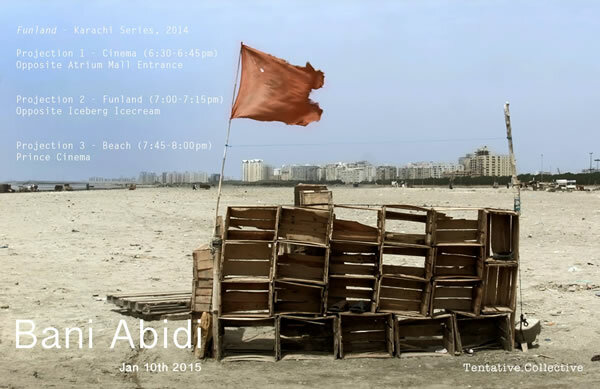 The story addresses a tangible ecological concern in a surrealistic manner, highlighting the complex psyche and fabric of Karachi. 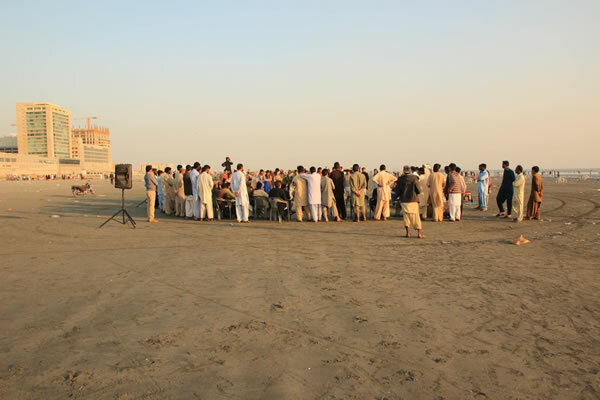 The event garnered a large crowd.